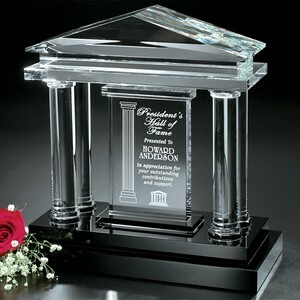 Parthenon Optical Crystal Award 12-3/4 in. Members of the President's Club are proven leaders within any organization. Recognize these individuals with a black glass and optical crystal award that represents their commitment to success.